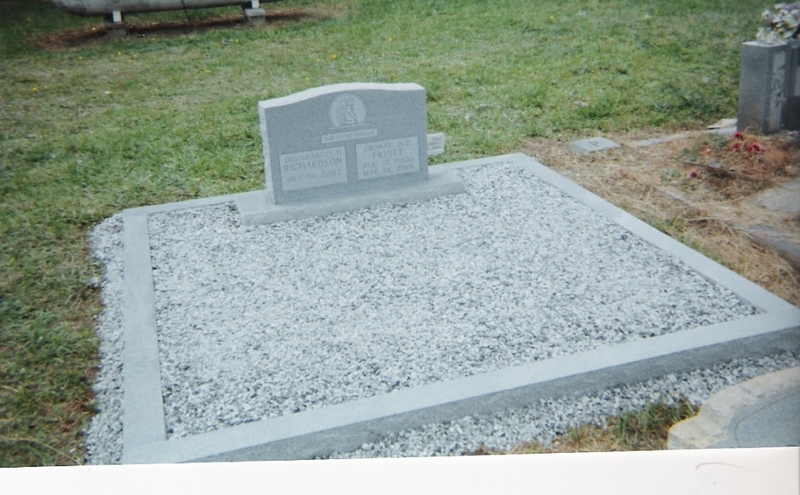 Ollie Brown Memorials appreciates the opportunity to provide your granite, marble, and bronze needs with the highest quality material. 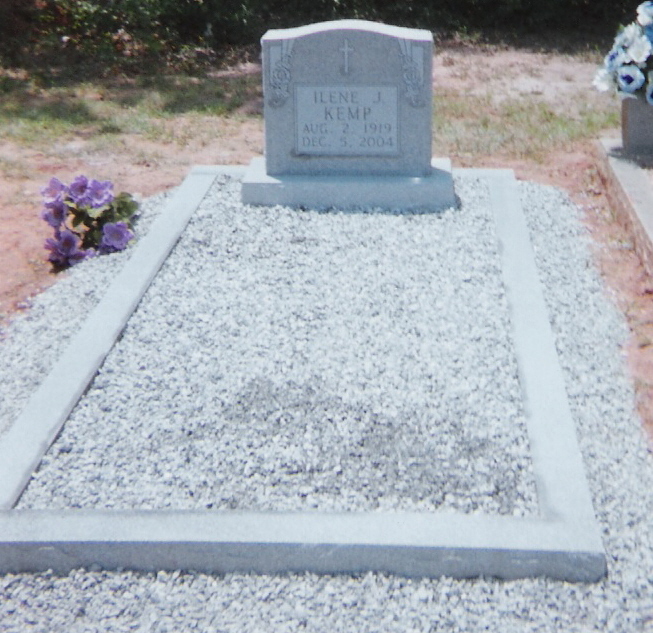 We offer professional affordable service in a timely manner. 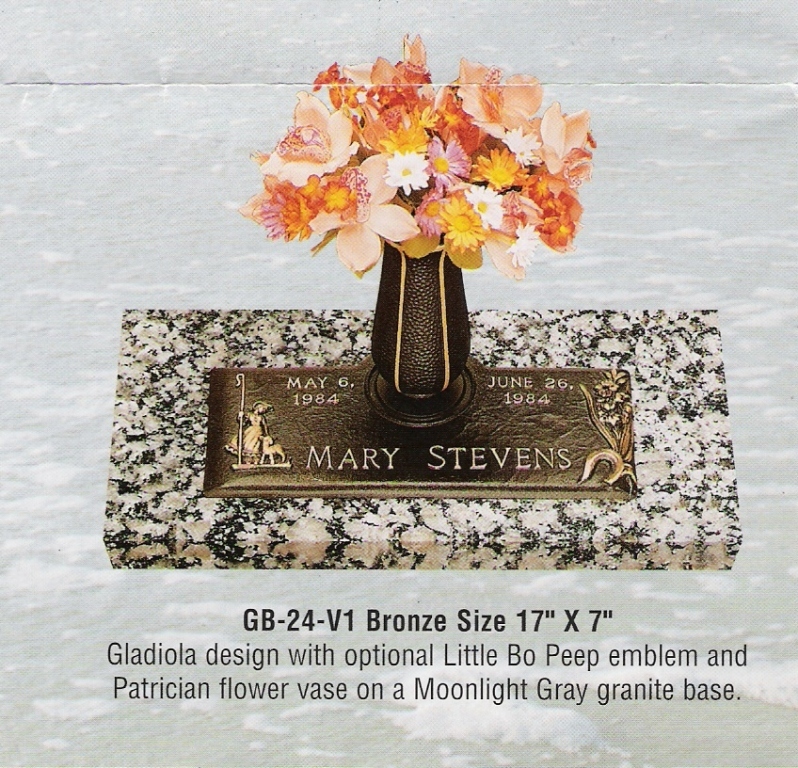 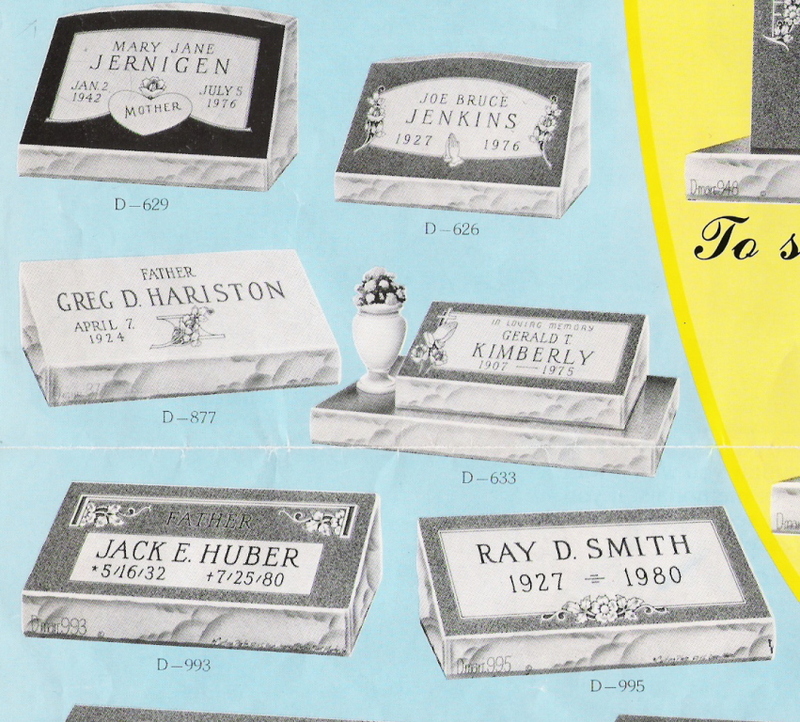 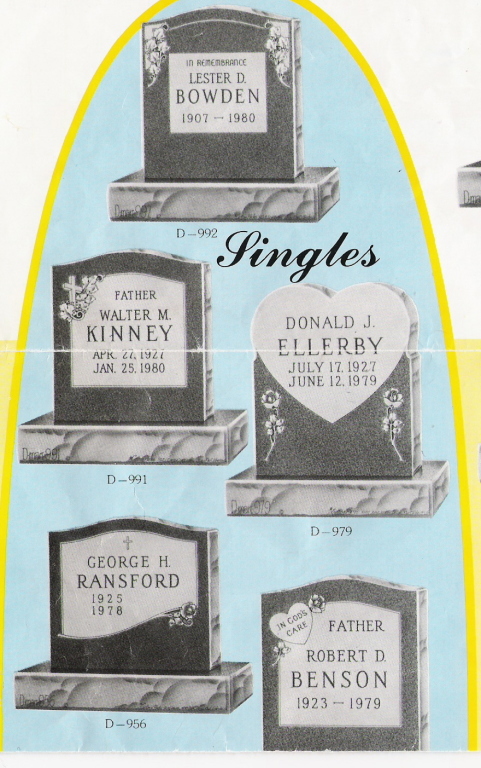 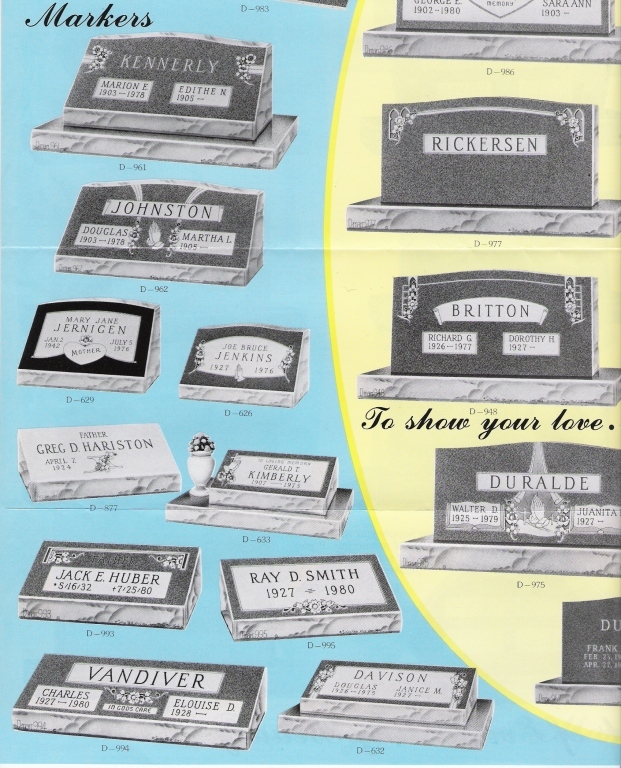 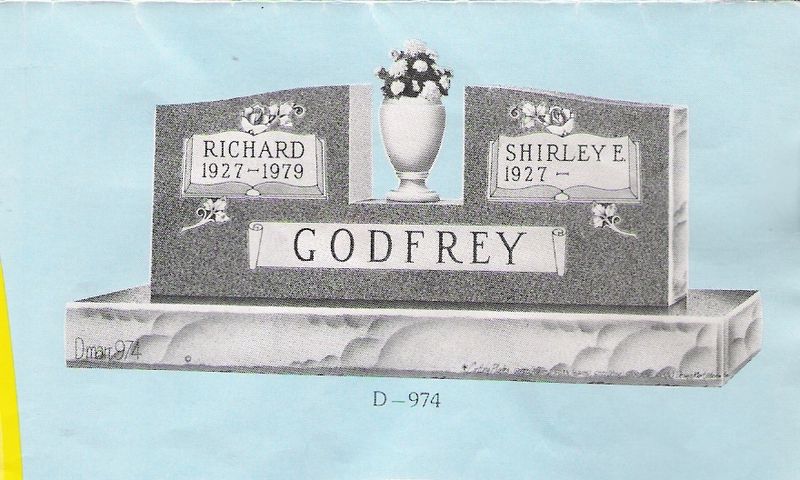 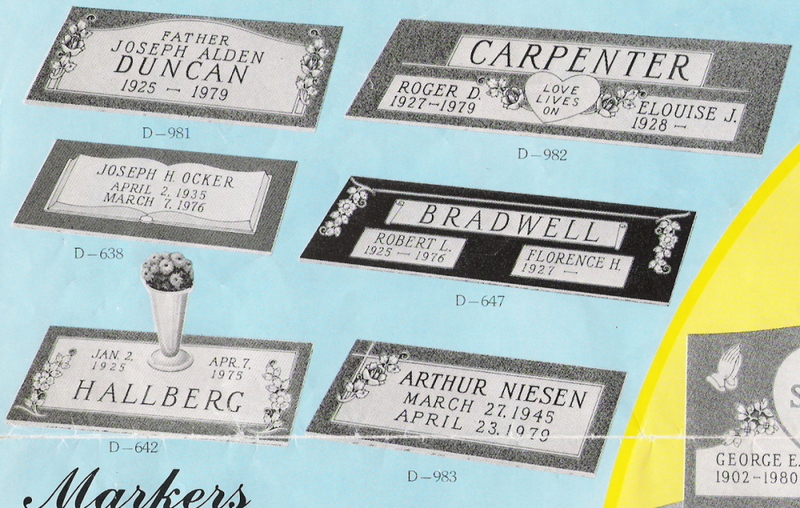 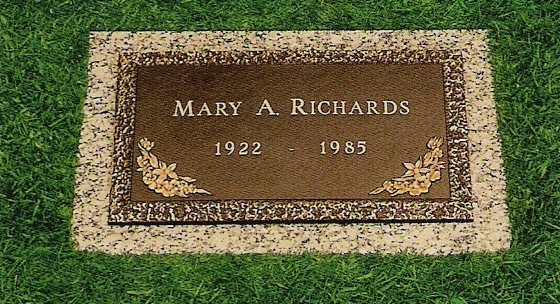 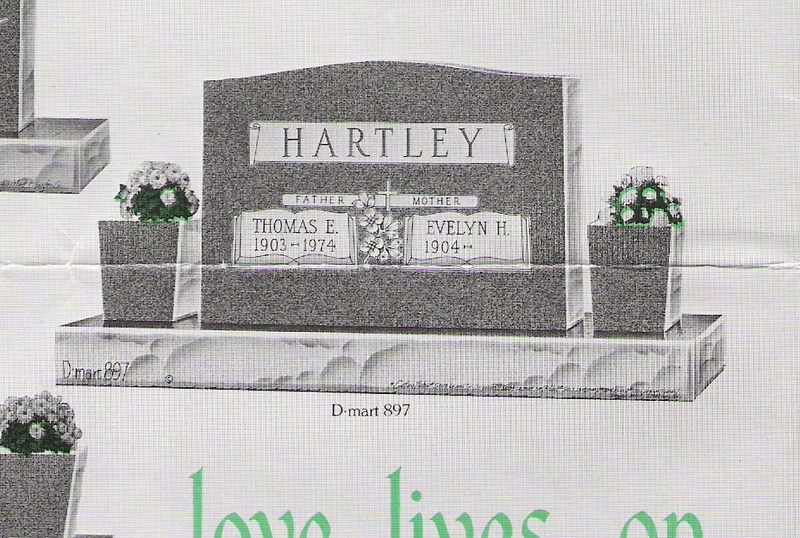 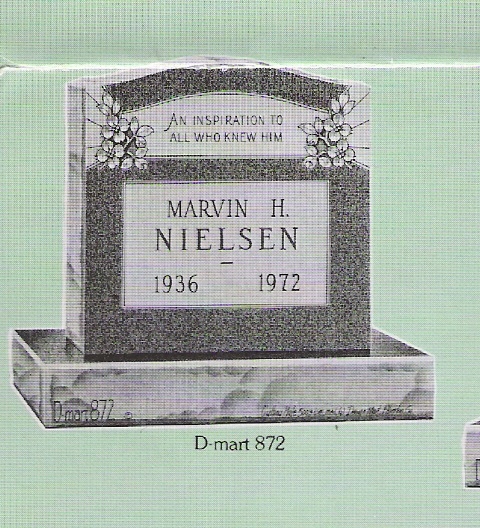 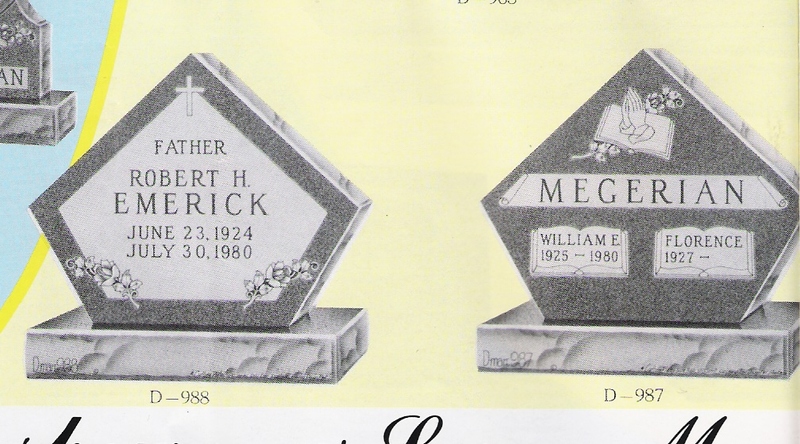 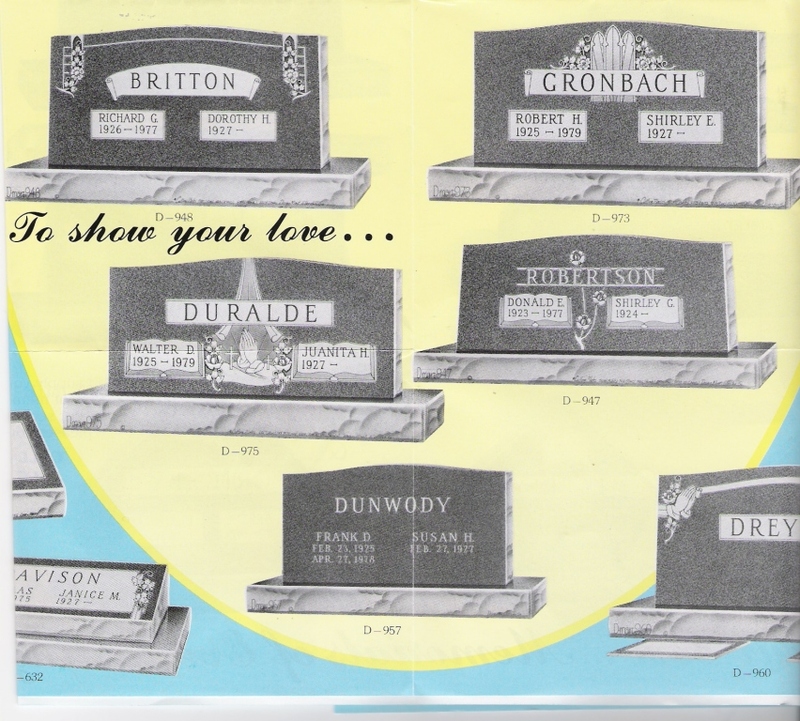 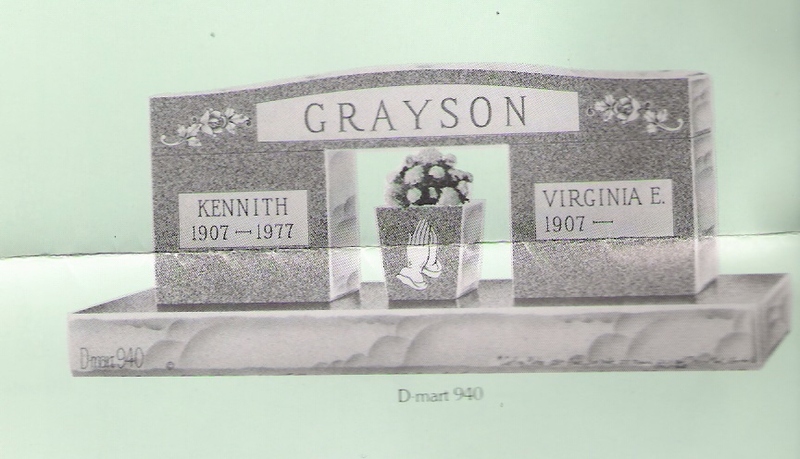 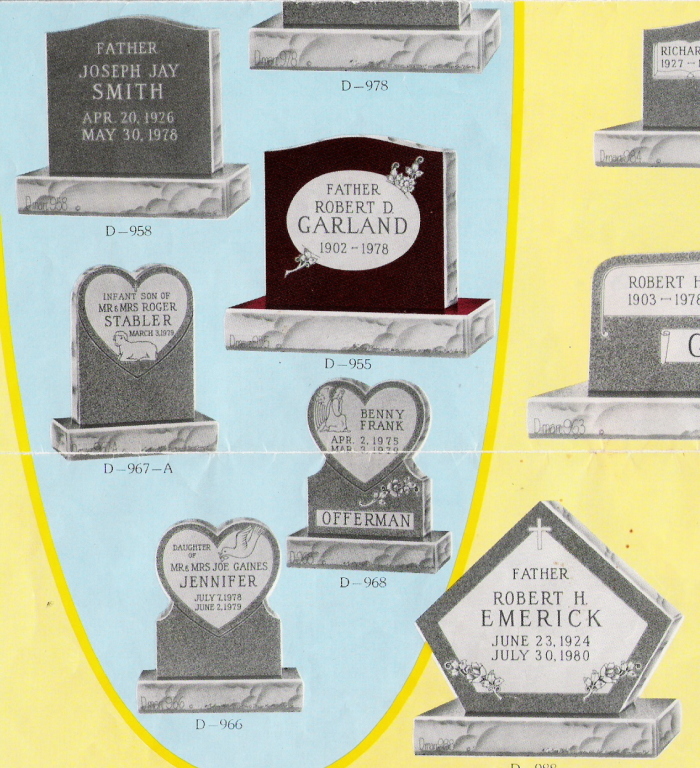 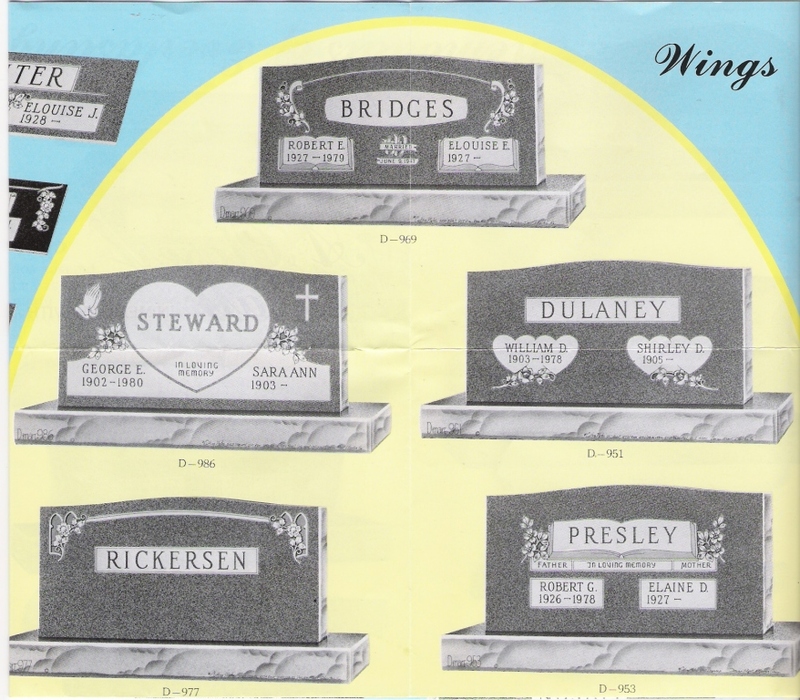 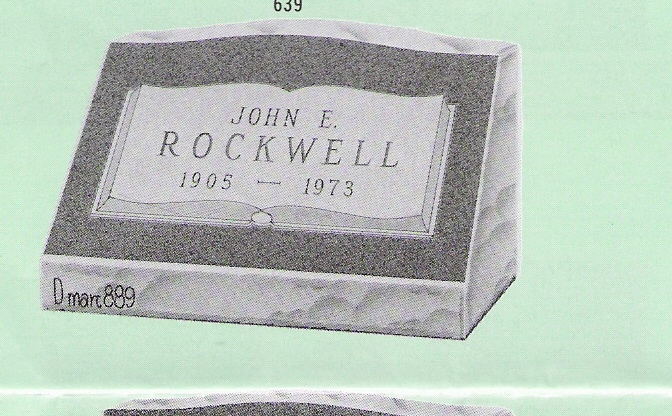 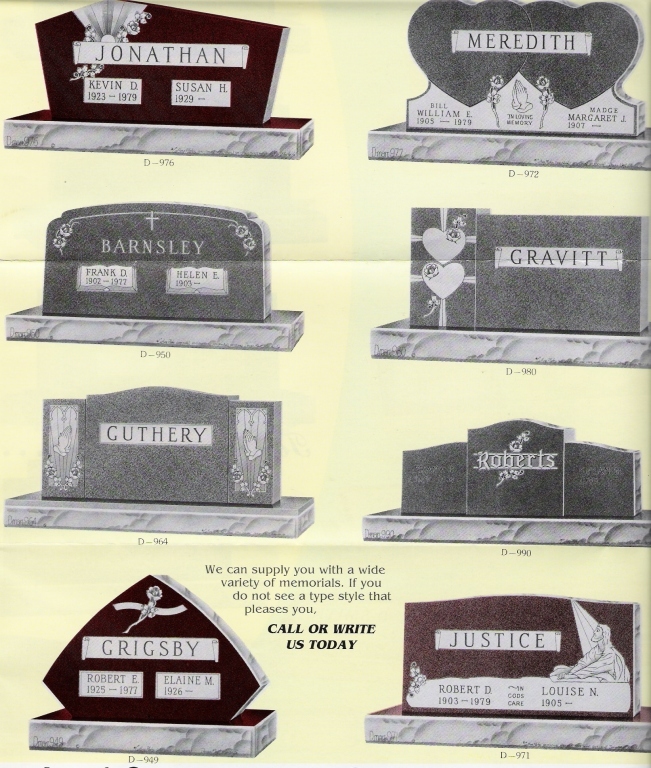 You can select from a wide variety of personalized granite, marble and bronze markers in many colors, styles and sizes that will give your loved one a lasting memorial they deserve. 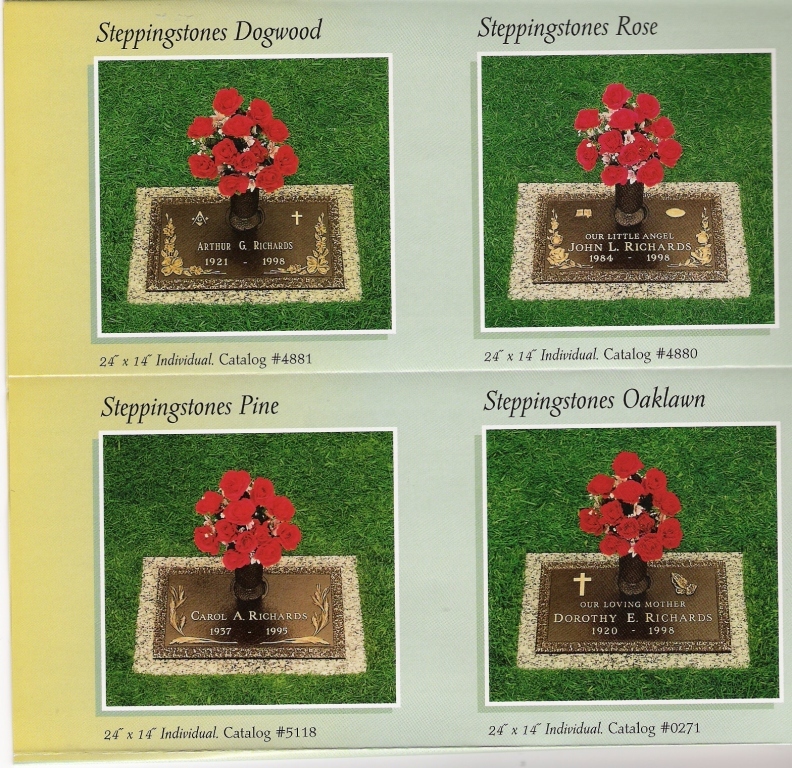 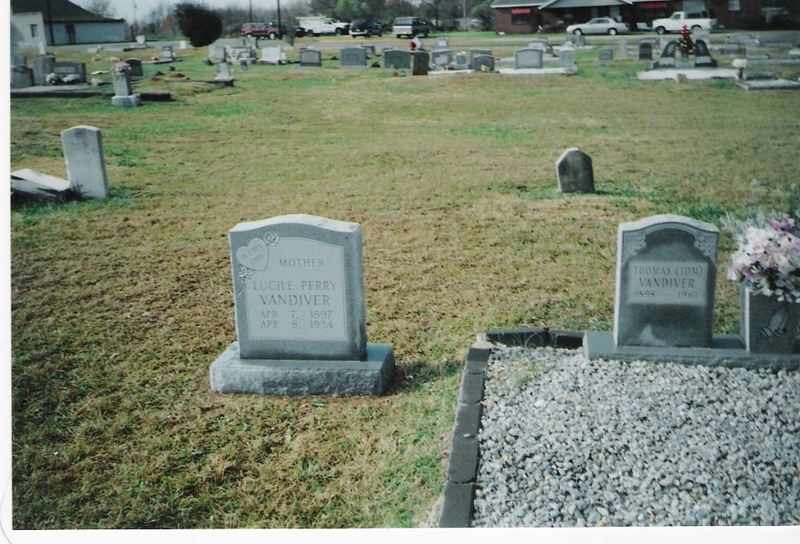 We also offer benches, engraving of dates, installation of veteran markers, coping/gravel, and other cemetery work that will bring you and your family a great deal of satisfaction. 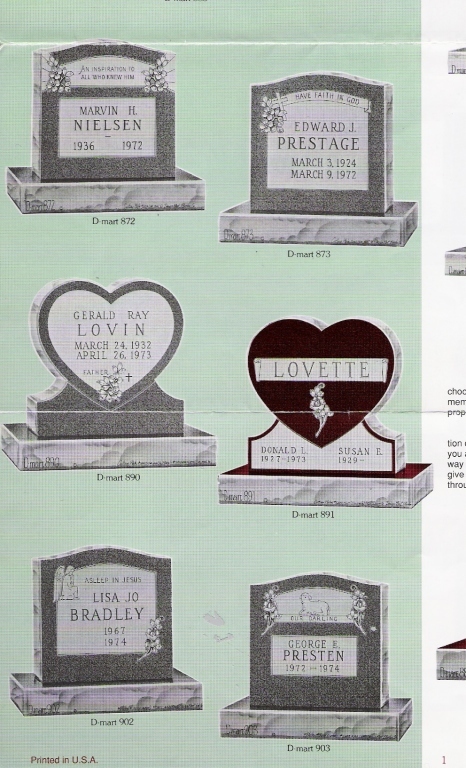 Please give me, Trish Mattress, a call at Marcus D. Brown Funeral Home (864-225-2220) to start designing a tribute to remember your loved one.